More than 99 percent air and able to withstand forces thousands of times its weight. Carbon nanotubes, exotic alloys, carbon fiber frames: That’s what future airplanes will be made of. But one aerospace company in Boston would like you to consider for a moment the humble (and yummy) Rice Krispies Treat. Like the RKT, the material this company works with is a foamy structure that is extremely light and cheap to make. Unlike the confection, it is phenomenally strong. It’s called aerogel, and its chief ingredient is air. Maybe you’ve heard of aerogel: NASA used the spongy substance on its Stardust probe to capture interstellar particles. But that hunk of aerogel was small. 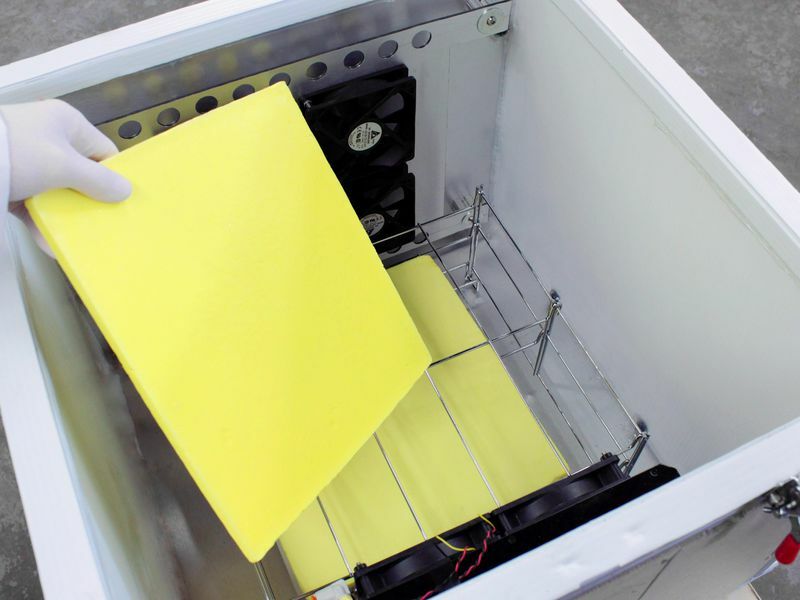 Boston’s Aerogel Technologies has developed a process to produce aerogel components of theoretically unlimited size that can be used for airliner cabin walls, seats, and other interior components. 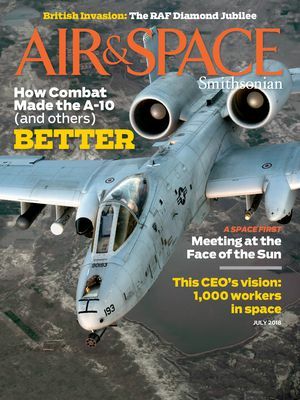 To make the best possible structures for aerospace applications, says Stephen Steiner, company president and CEO, a manufacturer must meet at least six simultaneous requirements. The ideal aircraft interior material should be cheap to manufacture but also extremely strong as well as ultralight. (Every ounce counts when expensive jet fuel is propelling everything inside the craft thousands of miles every day, multiplied by hundreds of airplanes in an airline’s fleet.) The perfect aircraft interior should also be able to withstand extreme heat and cold while also deadening the craft’s engine noises. And it must be fireproof. Well, almost none. Plastics have to date served as the material most airliners and aircraft manufacturers have settled for. Although cheap, plastics are not exactly lightweight. They can handle some temperature extremes, although they’re not very soundproof. And for extra cost, they can be brought up to fire code. Aerogels are a lot of empty pockets of air surrounded by branch-like networks of thin, hardened filaments. This puts aerogels among the top thermal insulators among inexpensive, lightweight, ultrastrong materials. But aerogels have traditionally been made using a technique called supercritical drying: a high-pressure process applied in expensive stainless steel reactors. 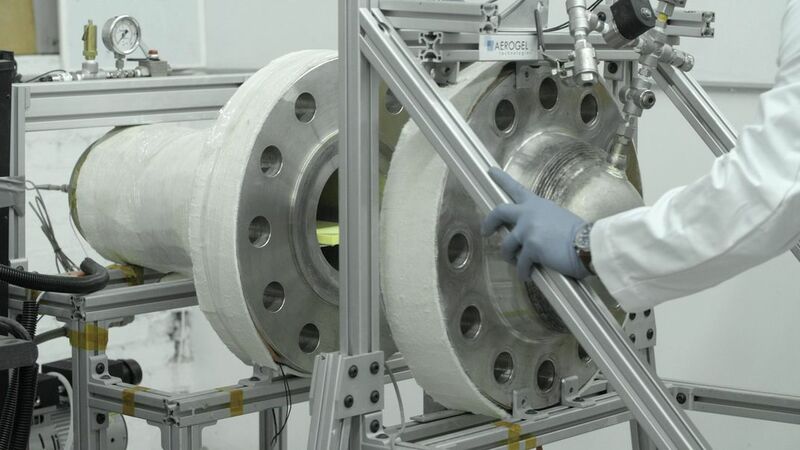 Those reactors limited the size of aerogel components, says Steiner, “just as the size of a pizza is limited to the size of the oven it’s baked in.” Steiner’s company developed a process that uses chemical processes in place of high-pressure drying. Mark Anderson is a journalist and technology copywriter based in Northampton, Massachusetts. His website is markawriter.com.